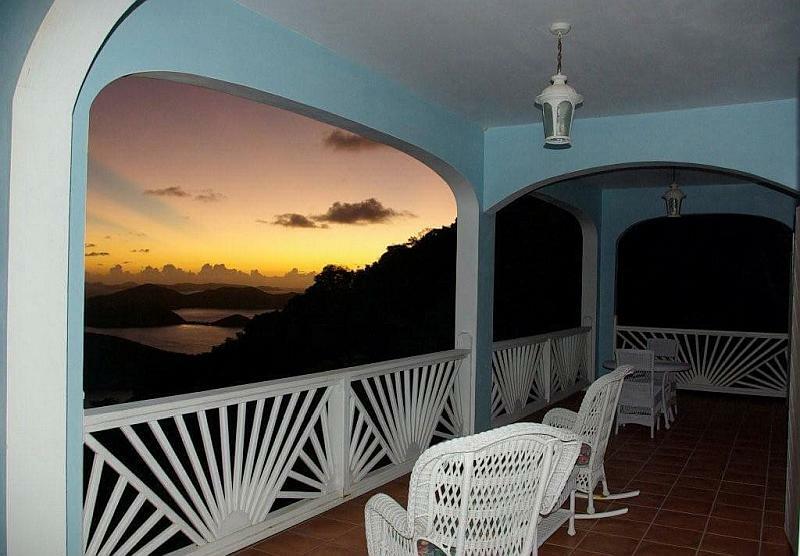 Waterlemon Villa is a private 3 bedroom, 3 bath vacation home located on the hillside overlooking Coral Bay, St.John. 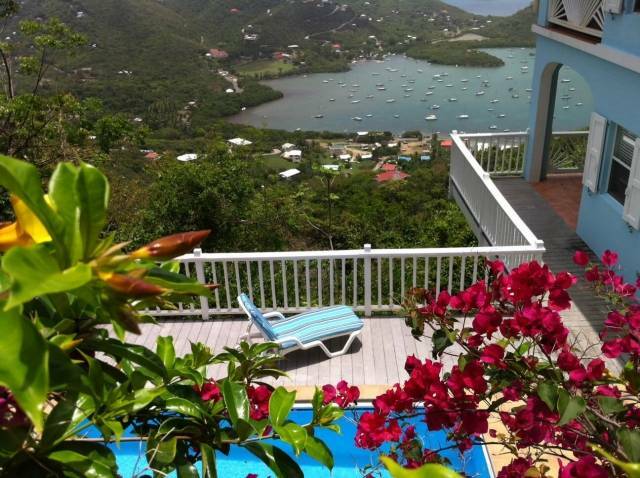 At 700 feet above sea level, this casually elegant retreat is high enough to capture the breezes of the trade winds and close enough to the harbor to watch the sailboats come and go. 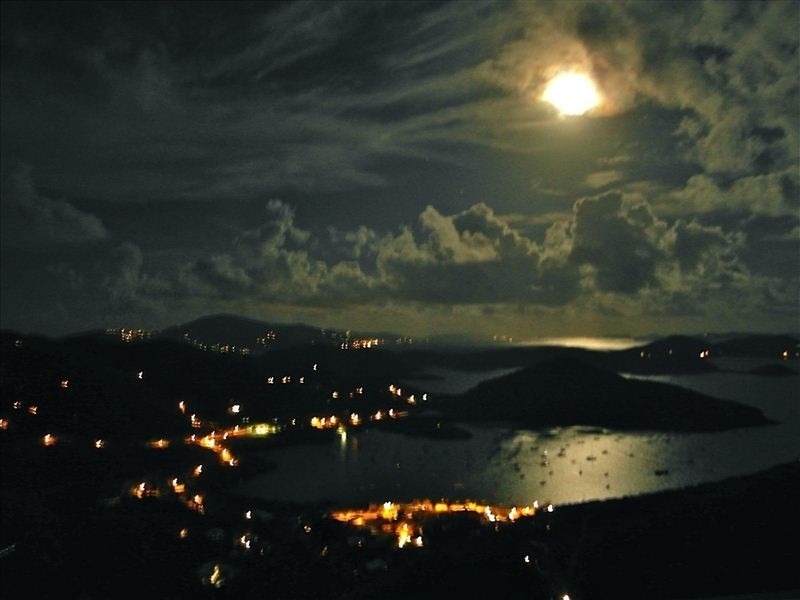 The breathtaking 50-mile view up the Sir Francis Drake Channel extends all the way to Spanishtown Harbor on the southern tip of Virgin Gorda. 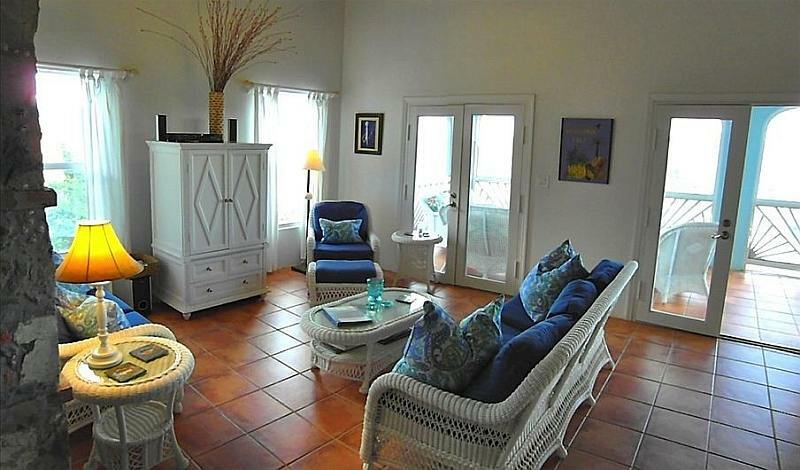 There are multiple options for relaxing at the Villa from chaise lounges at the pool, to rocking chairs on the lower level porch, to the wicker set on the upstairs screened-in porch. Private 8×16 ft pool with lounge chairs. 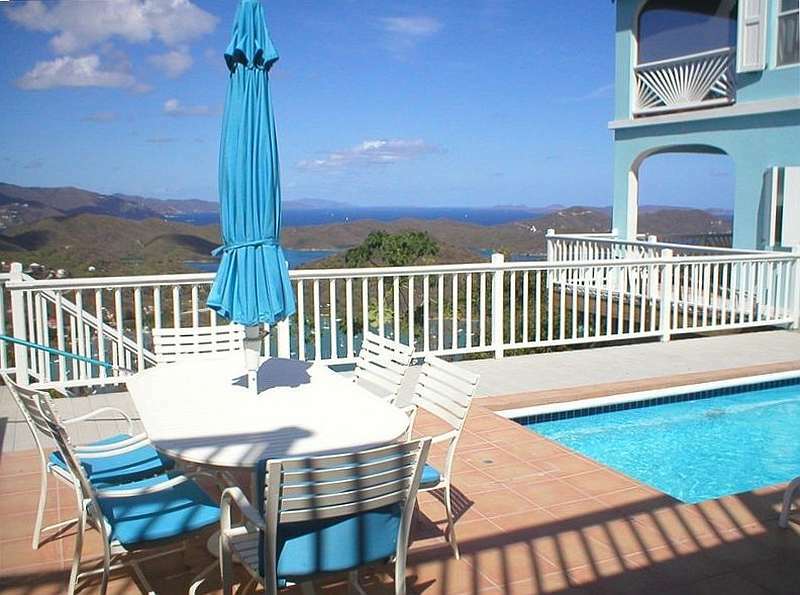 Comfortable outdoor living and dining with a view. The comfortable wicker living room set in the great room is a terrific place for watching TV or a movie or just listening to the stereo. The house is equipped for gourmet cooking with Cuisinart pots and pans, good knives, extensive cooking utensils, a microwave, and, of course, a blender and a margarita set! 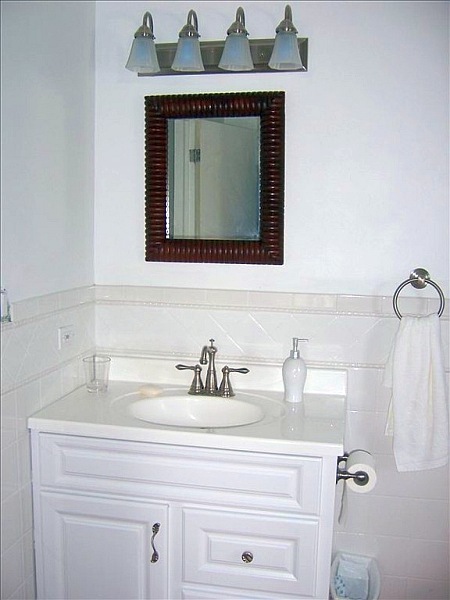 (This is a vacation home, after all). There is a Weber gas grill and plenty of serving dishes and glasses if you wish to cook. 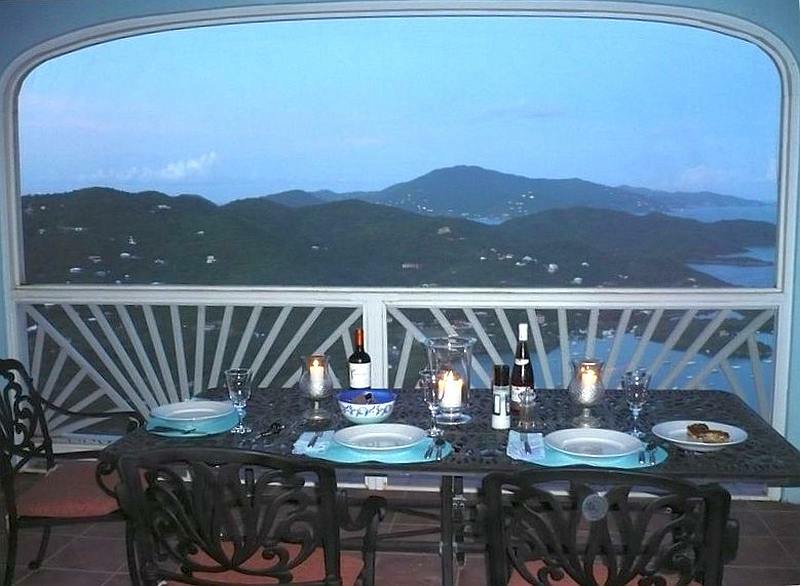 The wrought iron table on the upper screened-in porch is an ideal place to eat and enjoy the view. 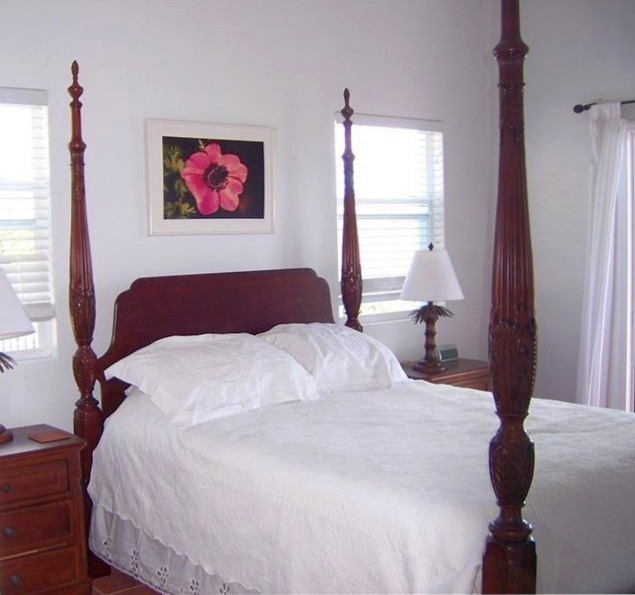 Two queen bedrooms and one twin bedroom accommodate up to six people so it is ideal for three couples or a family, but the privacy of the location and pool make it just as enticing for a honeymoon couple or an anniversary trip! 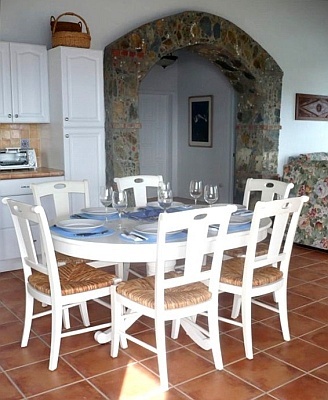 Larger groups can rent the house next door as well and accommodate up to twelve total. 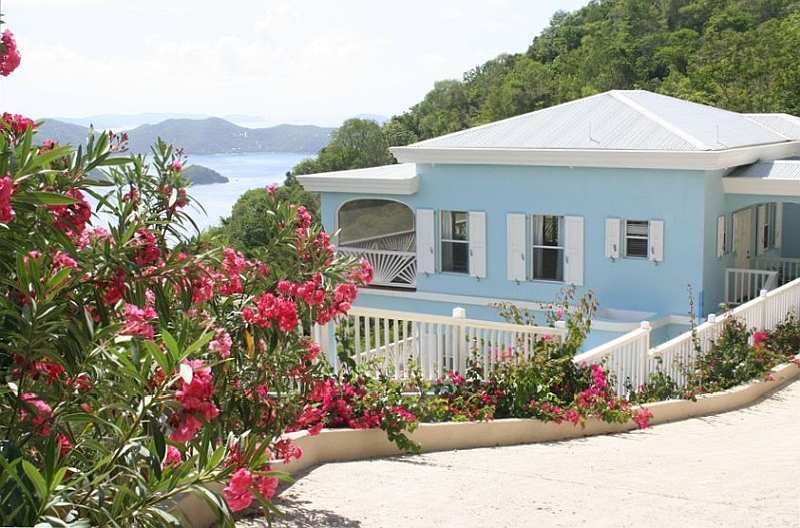 All rates are subject to the USVI 12.5% room tax. 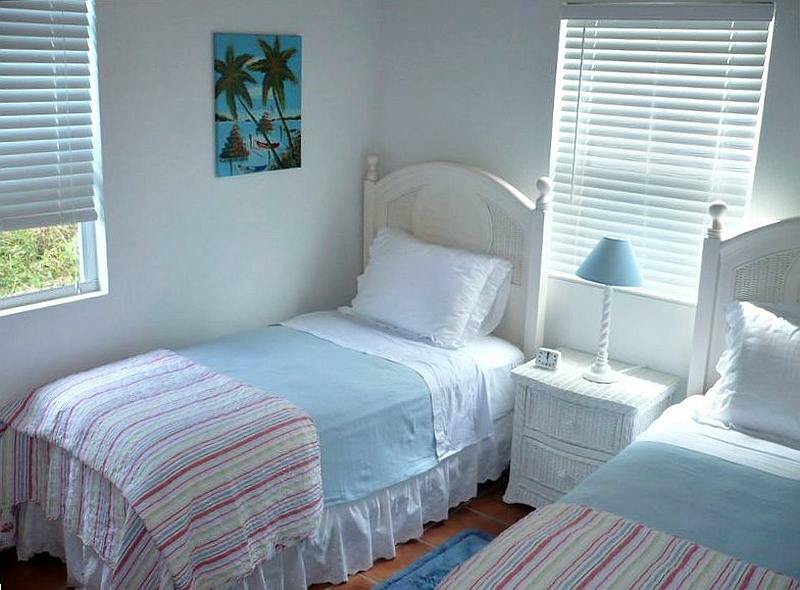 Waterlemon Villa welcomes children 8 years and older. The house is not suitable for young children due to the height of the porches and retaining walls. In addition, a steep staircase between the first and second floors may make the house potentially undesirable for people with difficulty navigating stairs. 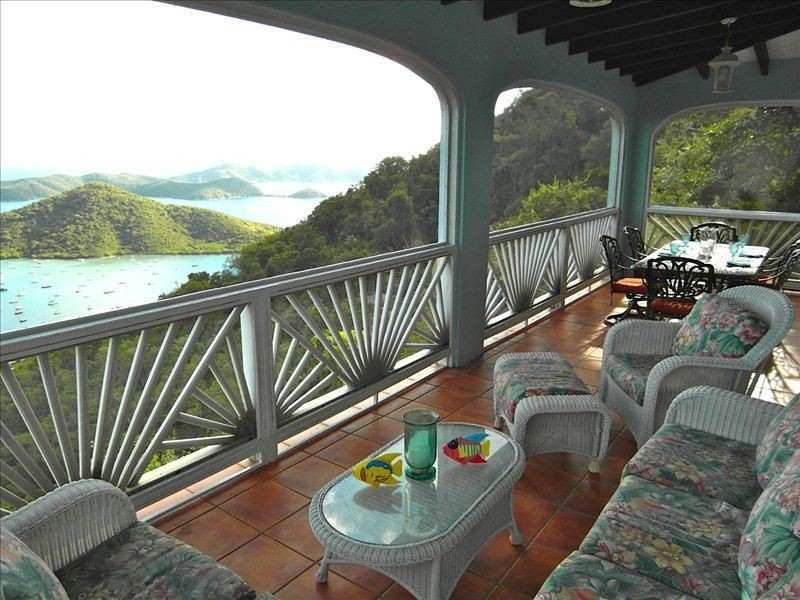 Waterlemon Villa is a no-smoking, no pets property. Wireless Internet, Telephone is free for local calls only. 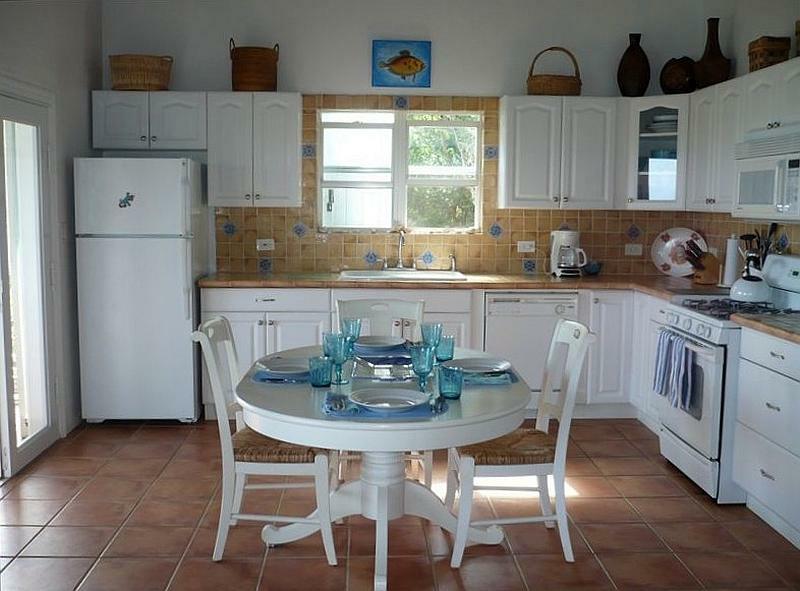 Coral Bay restaurants are five minutes from the house, and the outstanding snorkeling beaches of Salt Pond Bay and Leinster Bay are a scenic 10-15 minute drive. Put the beach chairs and the cooler in the car, grab the towels and spend the day exploring. 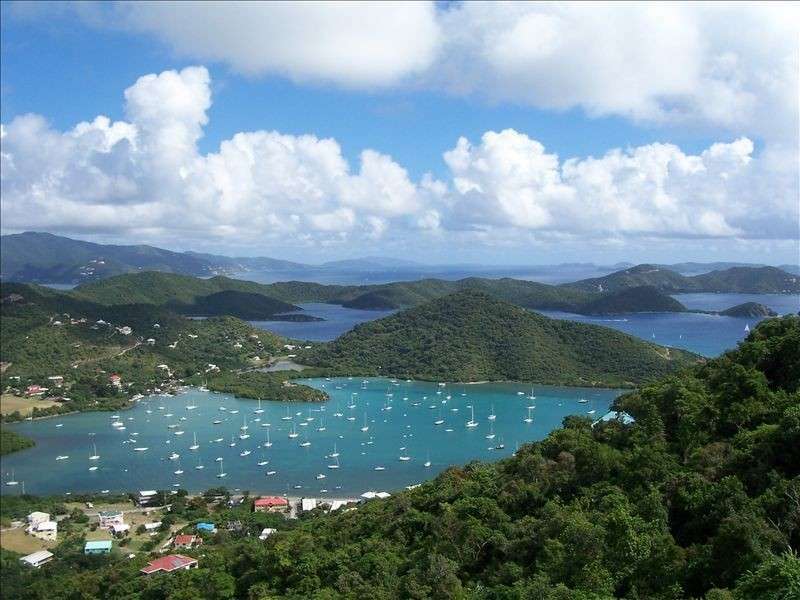 The natural beauty of St. John awaits you!